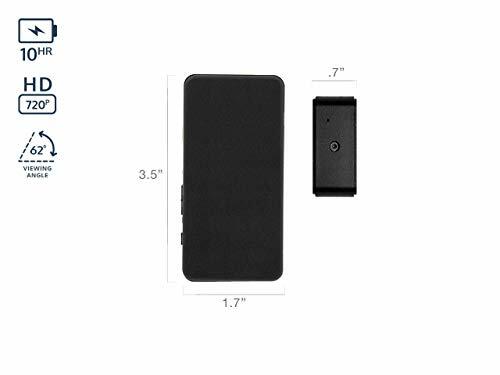 We gave the Black Box Micro HD a major facelift for its relaunch, and it remains a best-in-class mini hidden camera and video recorder capable of capturing hours of video on a single battery charge. But unlike its predecessor, the new Black Box records in crisp, high definition video. A BrickHouse exclusive, the Black Box Micro HD lets you turn virtually any common household object into a self-contained surveillance system. With an unprecedented level of recording control, the compact and rugged Black Box Micro HD makes creating a custom hidden camera a breeze. Turn any household item, from a tissue box to a teddy bear, into a hidden camera. Keep an eye on your desk at work, monitor your nanny to ensure that she's being safe with your baby or catch a thief in your stockroom. Use it anywhere and anytime you need the best in covert surveillance. Choose how you want to record: based on motion, sound (does not record or store audio, per US federal regulations), vibration or at a specific time. Or just set the BB Micro HD to record continuously. All videos are recorded to an SD card for simple transfer to any computer. The new Black Box -- a classic made even better. Extra Features: Selectable Day and Night Modes Adjustable Orientation All Videos Time Stamped Frame Rate and Video Resolution Adjustment Due to federal regulations, this camera does not record audio. Click here to learn more. In airplanes, black boxes act as after-the-fact reporters of exactly what happened in an accident. 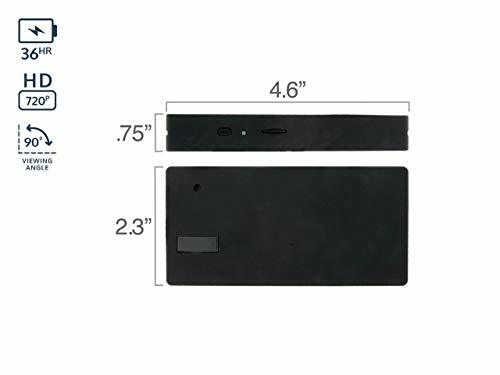 The BrickHouse Black Box Pro HD Hidden Camera works the same way; it shows you exactly what went on in your home or office when you weren't around. With an incomparable 36 hours of battery life and adjustable video resolution up to 1280x720 pixels, this motion-activated marvel is sure to give you the evidence you need to catch a thief, or to make sure your child or elderly relative is getting the care and respect they deserve. The sleek, slim Black Box Pro HD is roughly the size of a smartphone, and its nondescript appearance makes it easy to hide on a bookshelf as a standalone camera, or conceal it in a cereal box, behind a painting or anywhere else you can imagine. Set your Black Box to begin recording when it detects motion, body heat, vibration or sound (does not record audio, per US federal regulations). Or select custom start/stop times when you know there will be activity in the room. Automatic day/night modes and a 90-degree field of view ensure that you'll always get the best shot. Record all of your footage to an SD card (up to 128GB, not included) for easy review on any Mac or PC. Put the power in your hands with the BrickHouse Black Box Pro HD Hidden Camera -- the re-definition of covert video surveillance. Due to federal regulations, this camera does not record audio. Click here to learn more.